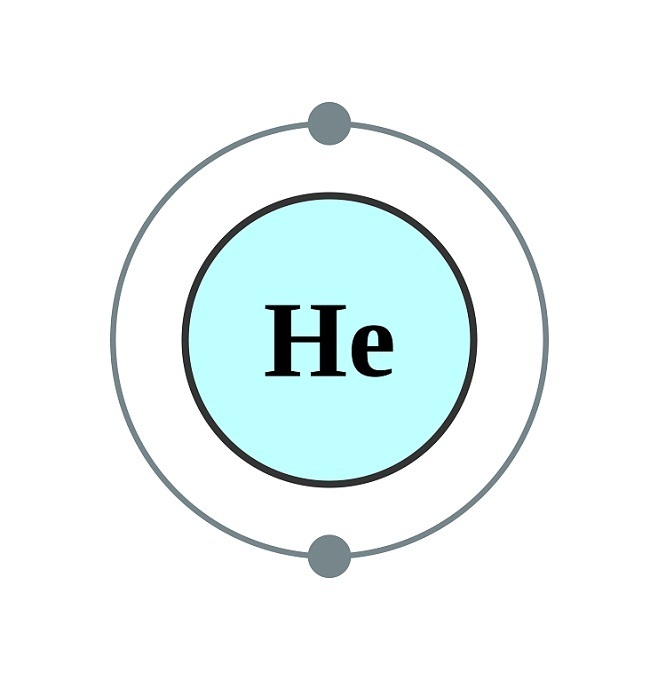 Helium (pronunciation: HEE-lee-em) is a colorless, odorless element classified as a non-metal, belonging to the group of inert gases in the periodic table and is represented by the chemical symbol He [1, 2, 3]. It is a monoatomic gas that forms weak diatomic molecules only at temperatures close to -273.15 °C or “the absolute zero” . 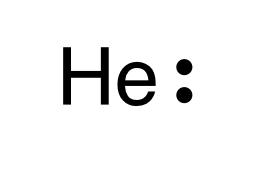 Helium has nine known isotopes out of which 3He and 4He are stable with natural abundances of about 0.0002% and 99.9998% respectively . Its radioactive isotopes are short-lived, with 6He being the longest-lived characterized by a half-life period of 806.7 milliseconds while 5He is the least stable with a half-life period of 7.6 X 10-22 seconds . 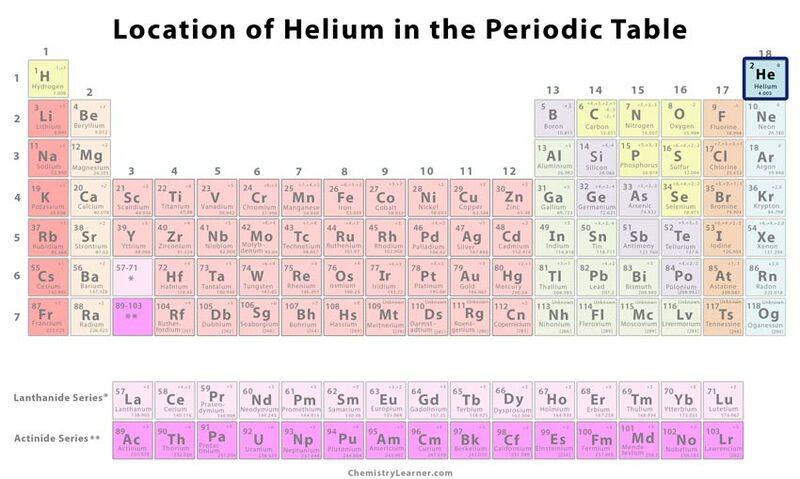 Helium is the second-most abundant element found in the universe only after hydrogen . It is found in all stars and is formed on the Earth from radioactive elements when they undergo alpha-decay . For natural dynamic balance, the low-density helium escapes into the Earth’s atmosphere and then to outer space . The price of extracting the element from the air is very high, and so, it is commercially obtained from natural gas that can contain about 7% helium by volume . The top 3 helium producers are USA, Algeria, and Russia while top helium reserve holding countries include USA, Qatar, and Algeria . Who discovered it: The element was discovered by the Scottish chemist Sir William Ramsay and independently by the Swedish chemists Nils Abraham Langlet and Per Teodor Cleve [1, 2]. Before the discovery of helium on Earth, it was found on the Sun . In 1868, the French astronomer Pierre Janssen studied a total solar eclipse in India and found a yellow line while measuring the Sun’s spectrum [1, 2]. An English astronomer, Sir Joseph Norman Lockyer, also observed the same spectral line and presumed that it was caused by an unknown metallic element, which he named helium [1, 2]. In 1895, William Ramsay experimented with cleveite, a radioactive mineral containing uranium and collected the gas that formed after its dissolution in sulfuric acid [1, 2]. He sent the sample to Sir William Crookes and Norman Lockyer, who identified the helium within it . In 1895, at Uppsala, Sweden, Abraham Langlet and Teodor Cleve independently collected the gas produced after dissolving uraninite (UO2) in acid [1, 2]. They found its atomic weight and declared that it was helium . 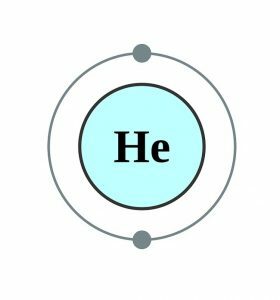 As a coolant, helium is used in MRI scanners’ superconducting magnets, NMR spectrometers, and the Large Hadron Collider . It is used to cool instruments in satellites and space vehicles . The gas is used to fill weather balloons, airships, and decorative blimps due to its low density [1, 4]. Despite hydrogen being more buoyant and cheaper, helium is preferred because it is non-flammable . It can be used for pressurizing and cooling the liquid fuel (liquid hydrogen) in rockets and space vehicles [1, 4]. 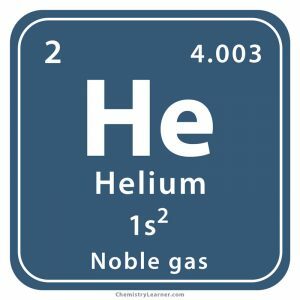 Since helium is extremely unreactive by nature, it can provide a protective atmosphere for arc welding, as well as manufacturing semiconductors and fiber optics [1, 4]. For people working under pressurized conditions, like deep-sea divers, 80% helium is mixed with 20% oxygen to create an artificial atmosphere [1, 4]. Divers use helium because it leaves their body faster as compared to nitrogen, helping in faster decompression . It is used for detecting leaks in air-conditioning systems of automobiles and for inflating car airbags after the accident . Helium-neon laser barcode scanners are used in supermarket checkouts . Electron microscopes are now replaced by helium-ion microscopes for their better image resolution . Helium is not known to be toxic and does not play any biological role . Although it is commonly believed that inhaling it causes the voice to temporarily become high-pitched [4, 12], heavily inhaling helium can cause an obstruction, cutting off oxygen supply . The graphical representation of helium shows the Sun, indicating the origin of its name from the Greek word ‘Helios’ and its presence in the Sun . The Federal Helium Reserve near Amarillo, Texas has about 40% of the helium gas used by the Americans in a year . 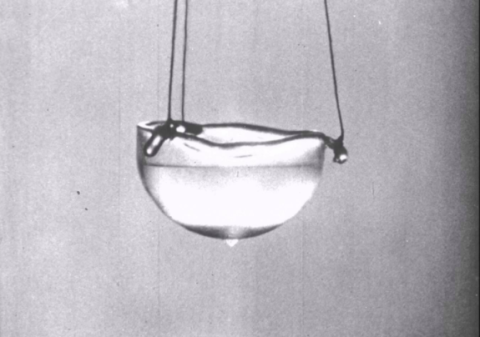 Since helium turns into a superfluid state at about -271 °C, it is used by the scientists for studying the behavior of superfluids . 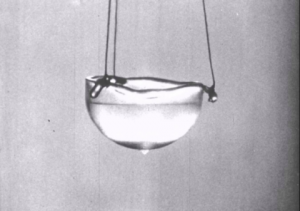 While the price of pure helium is about $0.052 per gram, liquid helium costs roughly $5 per liter [4, 14].